On Knowing When to Leave Well Enough Alone… Or Not…. When posters come into the gallery on consignment, they always come with stories. How and where they were acquired, under which circumstances, when … every piece has a provenance of some kind, even if it might not be the type of provenance you might expect. In an earlier post I mentioned the very elegant former Dutch consul who – when he left Montreal – left us his collection of posters. While the bulk of his collection had to do with maritime themes – his passion – some other pieces were acquired when he was in far-off places like Warsaw, Paramaribo, or Johannesburg. 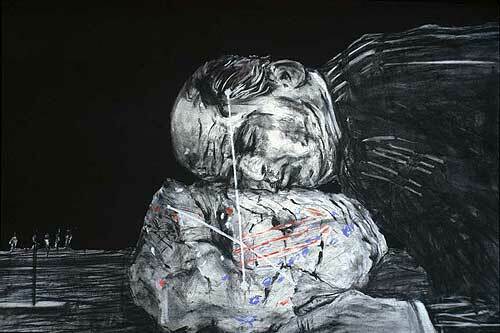 Hans’ collection had remarkable scope and included some very rare pieces, including this hand-signed and numbered piece by William Kentridge. It was explained to me that the piece had been a gift from the South African government when Hans left his posting, and that it had been commissioned for the Grahamstown Festival. Very nice. I was embarrassed to admit I had never heard of Kentridge, or Grahamstown. So I did what I usually do – I researched the artist until I felt that I understood something about him and what compelled him to create his art. 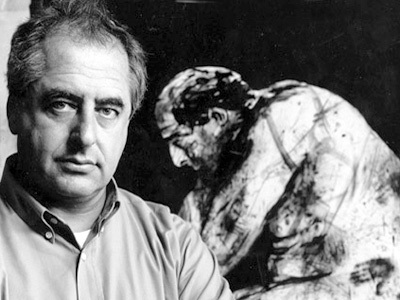 The only thing is, with Kentridge, the breadth of his competencies and abilities is unbelievably vast and comes from an intellect that is so finely honed as to defy definition or understanding. This is a man who was picked as the 2012 Norton Scholar by Harvard University and who single handedly delivered six hour long lectures on how he does what he does and why. (They are fascinating to watch and can be accessed here). Next Design is A Behaviour!